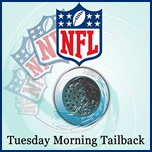 Tuesday Morning Tailback is a weekly article during football season which take a critical look at the NFL. We do this from the base belief that NFL football is the greatest game in the history of mankind, but some recent policies and the overall direction of the league has chipped away at this greatness. Our primary goal is to spark debate on these subjects, so we encourage you to give your own opinion and leave comments. The weekly Giants Blog was started midway through the New York Giants’ Super Bowl season of 2011, ironically following the team’s victory over their eventual Super Bowl opponent, the New England Patriots. The blog is written by our editor J.D. 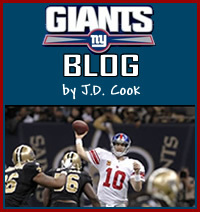 Cook, a lifelong Giants fanatic.